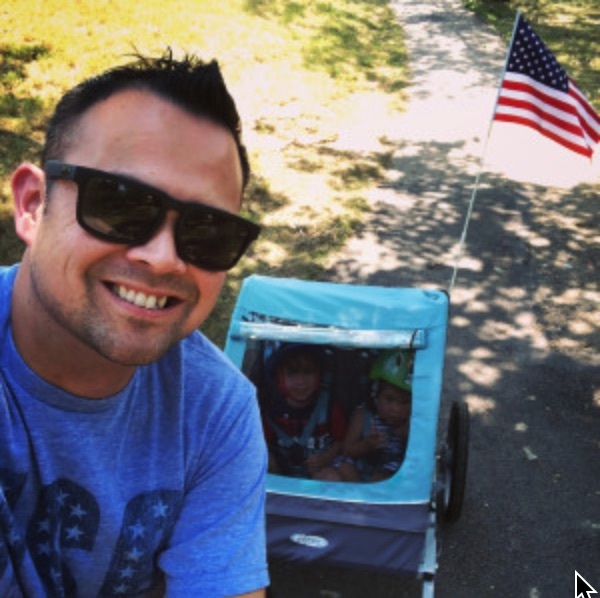 Looking for RV rentals in San Antonio? 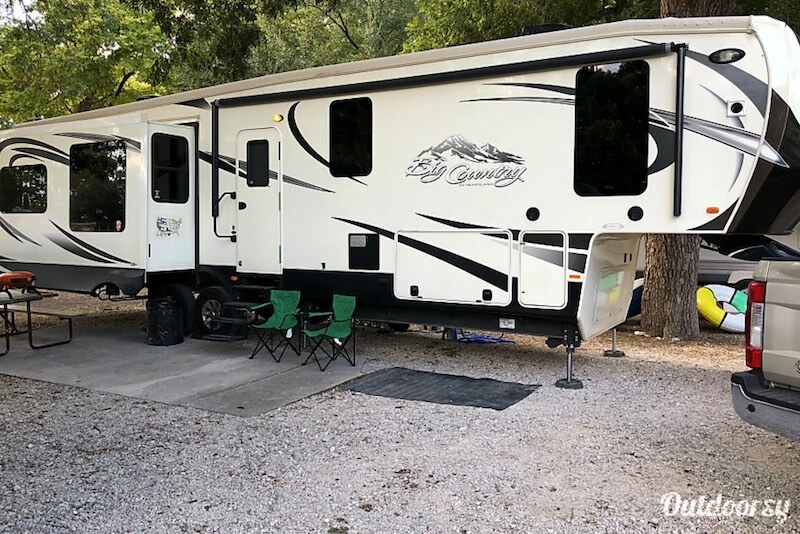 We found the 10 best RV rentals in San Antonio - everything from cheap to luxury, small off-road travel trailers to massive Class A's. You're just moments away from being in an RV in San Antonio! 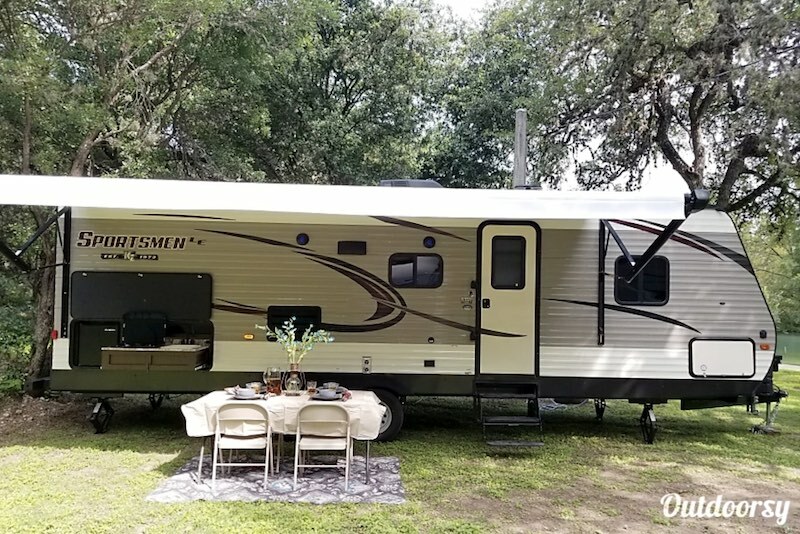 If the RVs below aren't available for the time you want to rent them, click here to go to Outdoorsy and see what else is available for you in San Antonio! Bigger than a New York apartment! 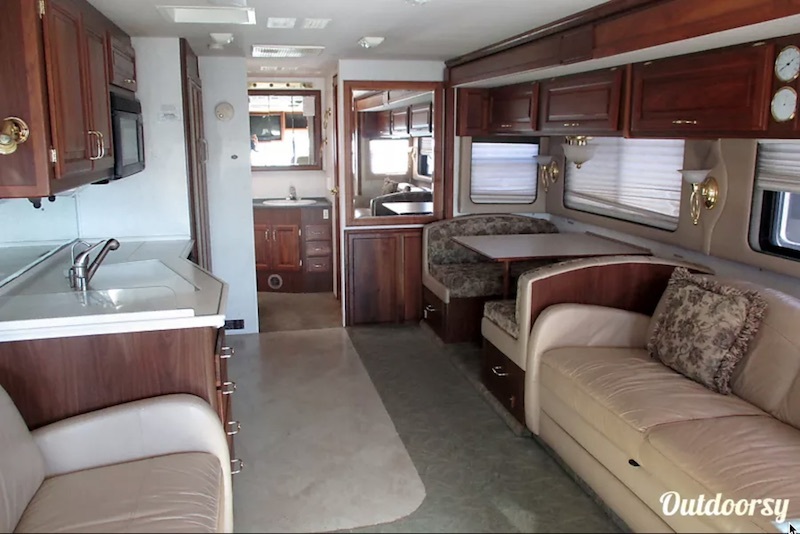 Experience luxurious road tripping at its finest in this 2015 Heartland Big Country. A truly great rental in San Antonio. 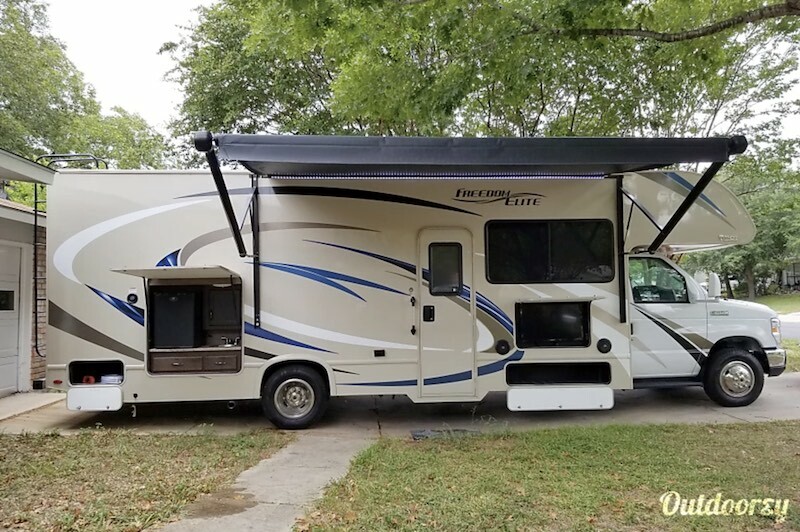 This fifth wheel comes with quite a few perks like a washer/dryer, king sized bed, large bathroom, and cable TV hookups, to name a few. As an added bonus, the owners even provide delivery, set up, and pick up to make life easier on you! I want to thank you for a wonderful experience. This RV had everything we needed, plus the delivery, setup, and pickup made this so easy to enjoy our time at the river. I would recommend Barton Creek to anyone that wants the experience of a RV without all the work. We will definitely use them again. 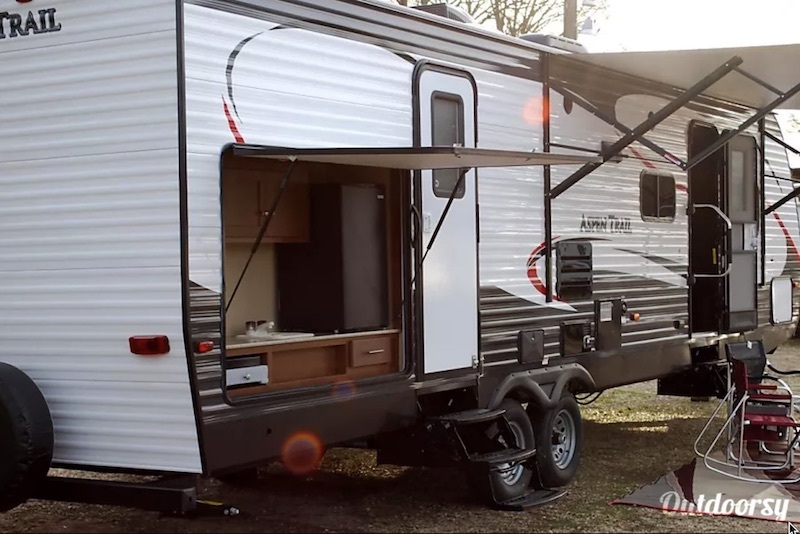 This 2016 Happier Camper HC1 has a unique look and compact size for easy towing, earning it the name "Superfly." 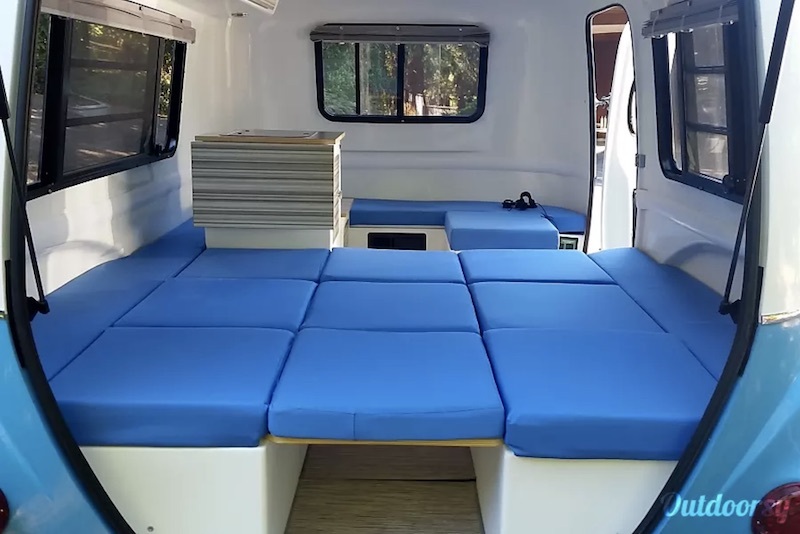 Despite its size, this camper has a fully customizable inside to fit your sleeping needs. You have the option of a queen sized bed, a full and a twin sized bed, a queen and a full sized bed, or three twin sized beds. 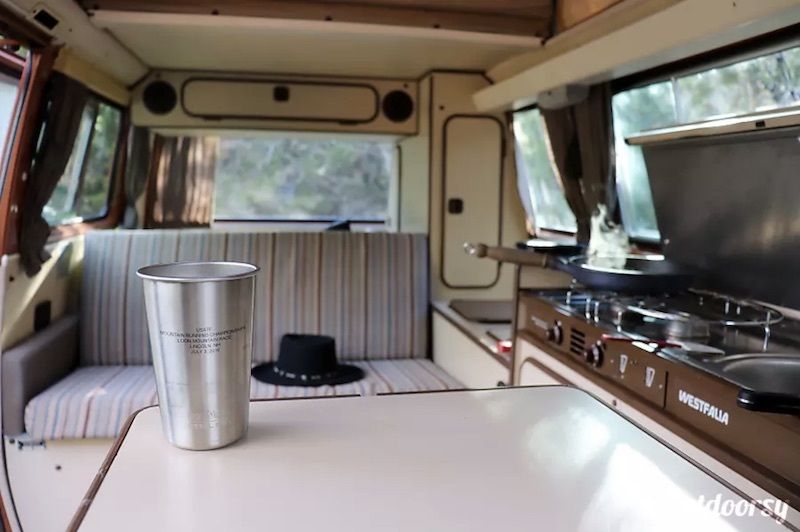 The RV owner even lets you choose which amenities you would like to take on your camping adventure. Another huge plus is that Superfly can be towed with almost any car that has a hitch! Amber and Melanie did a great job explaining the camper to us! It looks awesome, is really comfortable, we had a great time. This vintage camper van is ready for you to get our and explore Texas! 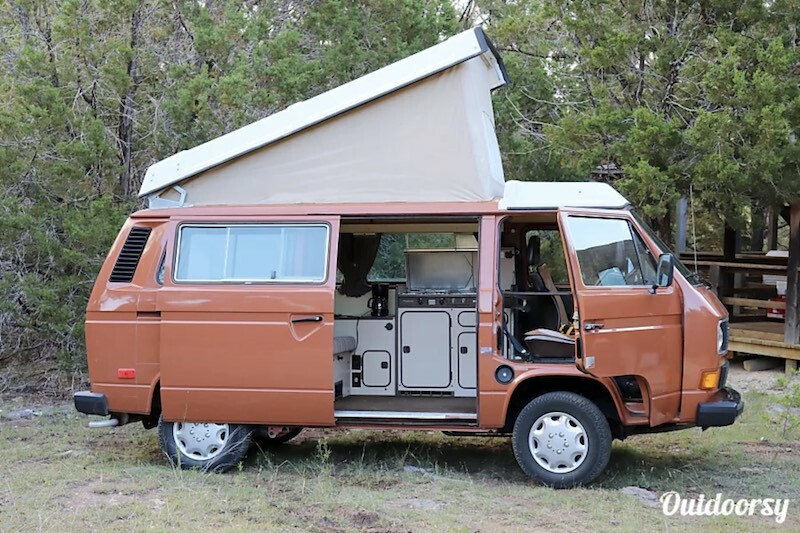 This 1984 Volkswagen Westfalia has everything you need for an unforgettable excursion. This camper van comes with a cassette player with a huge assortment of classic tapes, fully functioning kitchen appliances, a super comfy bench that converts into a bed, and a solar setup so you are never without power. It's easy to drive and easy to set up, perfect even for a beginning RV-er! David's VW Westfalia is a mobile dream! 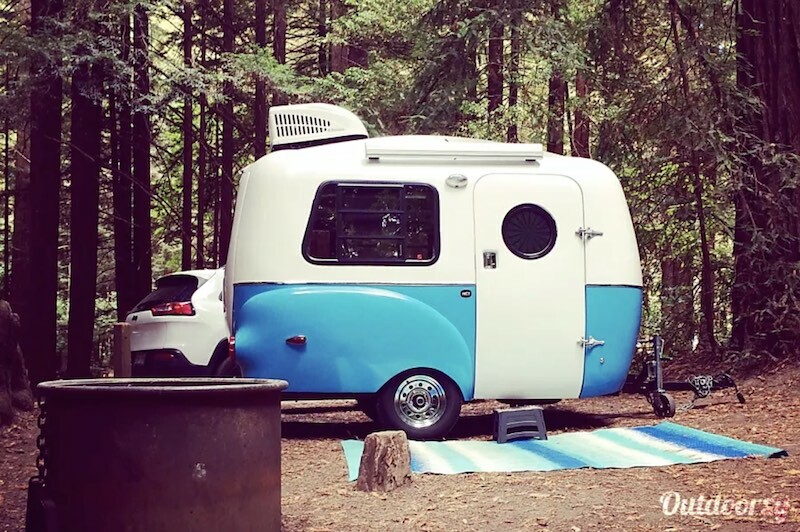 My wife, 9 month old son and I had a blast on our two night stay in the classic camper van. One of the little pleasures was breaking out all the little stowable amenities. Loft bed, stove, sink, fridge, table, lower bed, mosquito fly, curtains, and awning were all fun to tinker with during use. David was super helpful and responsive during the whole process and gave a great walk through of the vehicle before departing. I heartily recommend renting this piece of history which is sure to bring you a sense of boundless adventure. 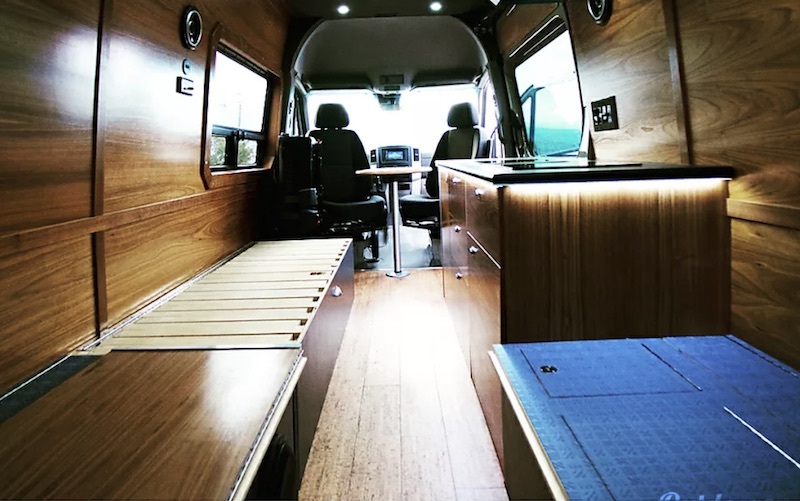 Experience some Instagram-able moments aboard this 2017 Custom Camper! 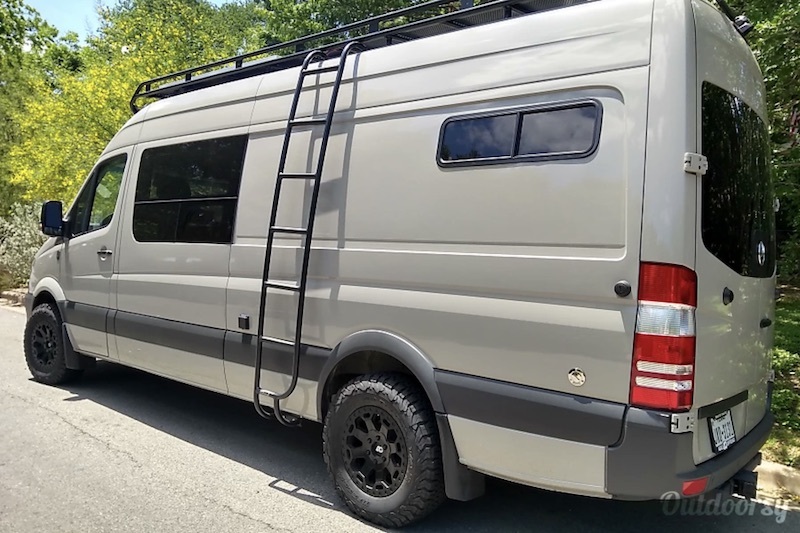 This camper van is full equipped for off the grid camping so you can have a luxurious camping experience no matter where you end up, giving you the freedom to escape the need for RV parks! For those hot Texas summers, the van has a 12V Kingtec AC unit to keep you cool. The owner even stocks it up with Texas inspired road trip snacks! This vehicle was amazing and Rob was an amazing host. He really made sure we were set up to have a great trip! 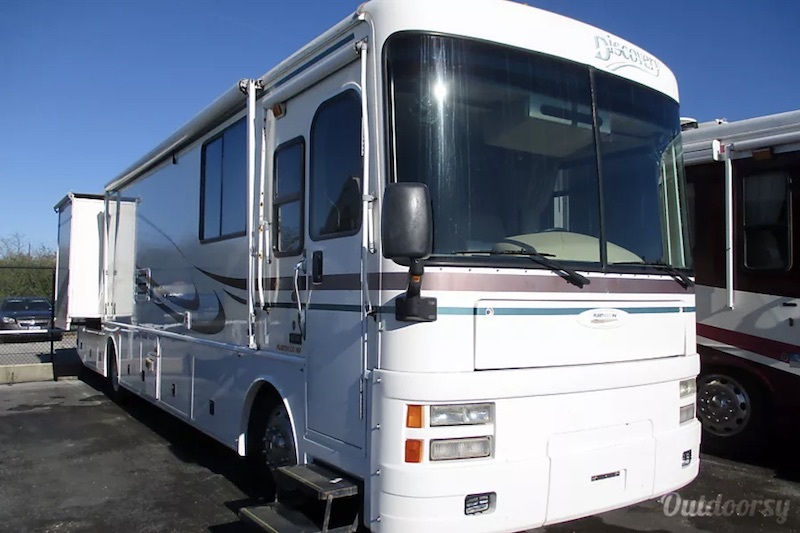 The 2000 Fleetwood Discovery's are great motor homes for family vacations, with plenty of room for everyone! Feel at home on the road while traveling in this cozy RV. Enjoy all the comforts of home like a queen sized bed in a private master bedroom, a bathroom with separate toilet room, and a roomy living area. It even comes with a built in vacuum system, side-by-side refrigerator, and washer/dryer combo! 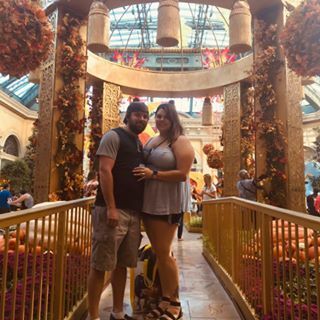 The couple that rented me the RV were very friendly and went out of their way to accommodate me and my family with everything. Would not hesitate to recommend this RV to everyone looking to rent an RV. Enjoy all the comforts this luxurious 2018 Sportsmen 271BHLE has to offer. All the extras definitely add to the feeling of home sweet home on the road. 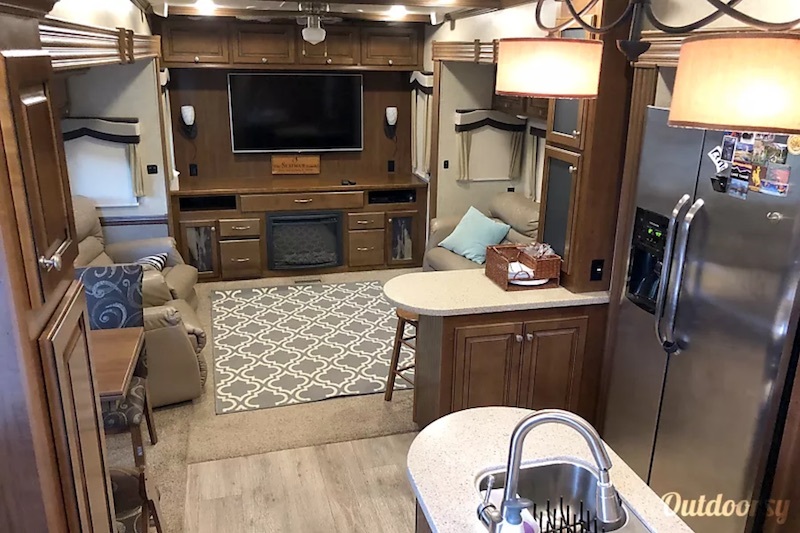 This travel trailer comes with a ton of freebies like a smart TV with Netflix and Hulu access, cookware and utensils, bedding, pillows, towels, Keurig, and a cleaning kit! The owners also offer flexible pick up and drop off times or set up and delivery within 200 miles. Our first experience on Outdoorsy went without a flaw because of Blanca. She was very helpful from before the booking to the end. At the time of pick up her business partner was helpful in explaining how to hook up the RV and all that’s involved. The RV it self was brand new and clean. My favorite part was the Keurig and the blue interior lights. I would recommend this RV to any new or experienced RVer. Camping on a budget? 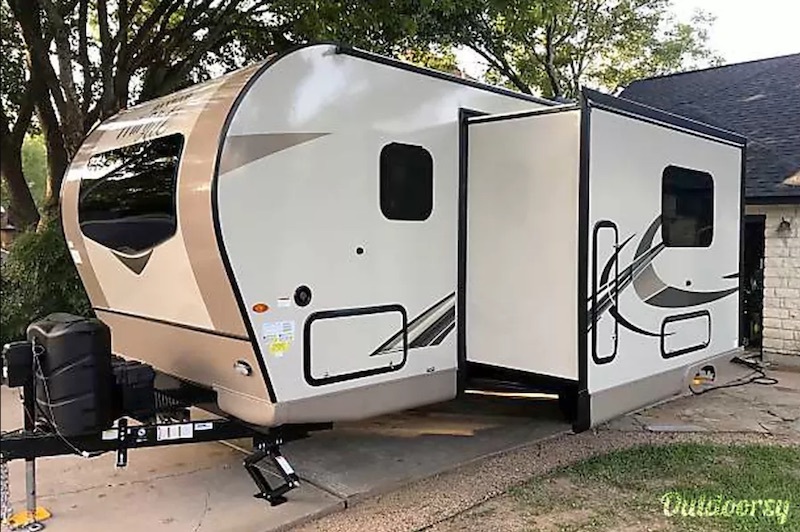 Take a ride on this brand new 2019 Forest River Rockwood Mini Lite! This trailer comes with some pretty awesome perks! It has an indoor and outdoor kitchen for the chef in the family to do their thing. There's a queen sized bed and bunk beds so everyone can get a good night's rest. It even has an indoor AND outdoor shower! 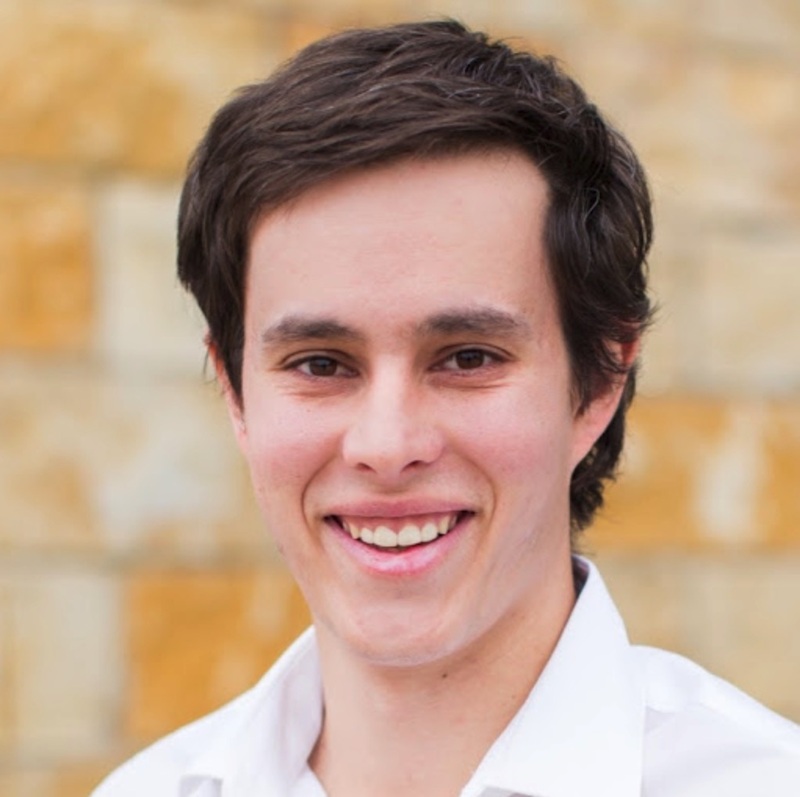 Elliott was super easy to work with, and would drop anything to help in a heartbeat. Very great communication and the trailer is amazing, exactly like the pictures. Very homey feeling. Would highly recommend to anyone I know. 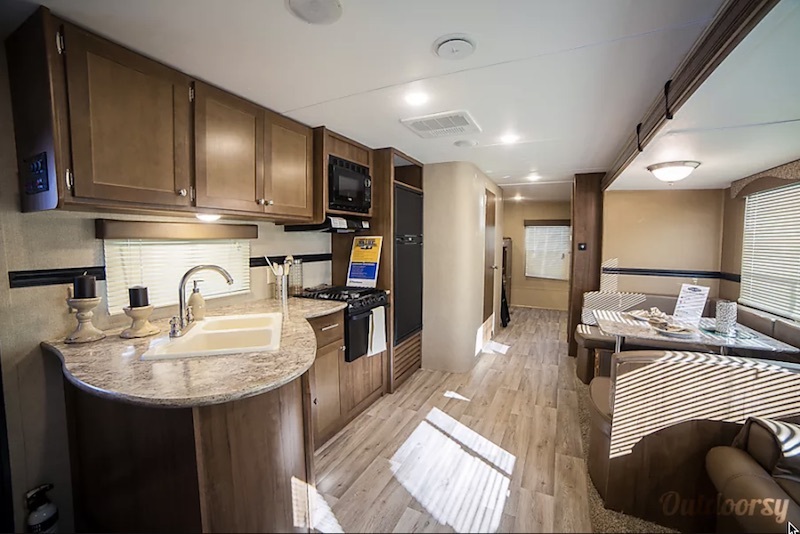 Experience a true luxury RV while exploring all that San Antonio and the surrounding area has to offer in this 2017 Coachmen Galleria. 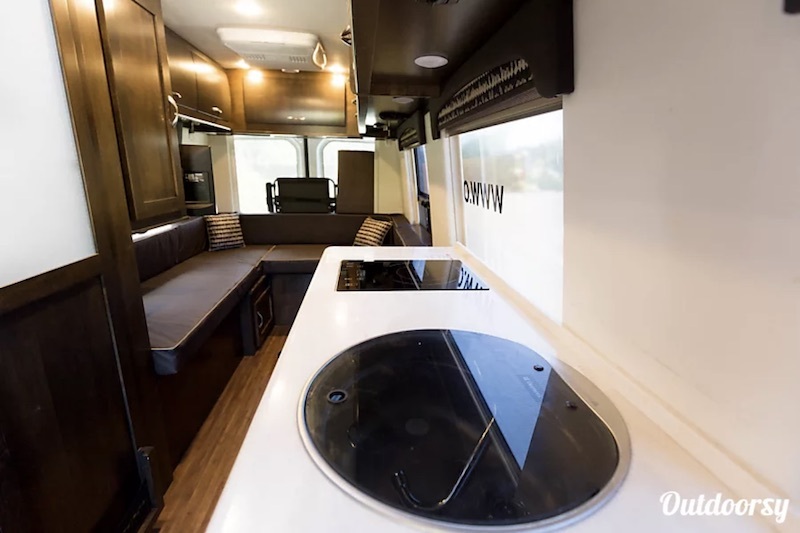 This camper van offers a modern interior that is jam-packed with high-end components like the furnace/water heater system, generator, and maple cabinetry handcrafted by a local Amish cabinet maker. 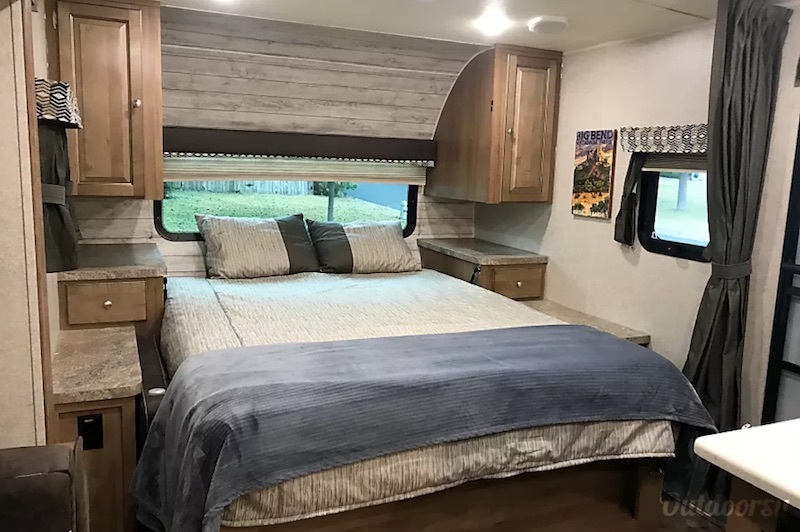 There is a huge bathroom on board, a bedroom area, LED TV, full size fridge, and three-burner induction cooktop, providing all the comforts of home in an easy to drive package. There are also optional add-ons like bedding, towels, dishes, and a BBQ. Best part, the owner even throws in a free T-shirt! Clif was super helpful in making our vacation flawless. Everything was top notch. 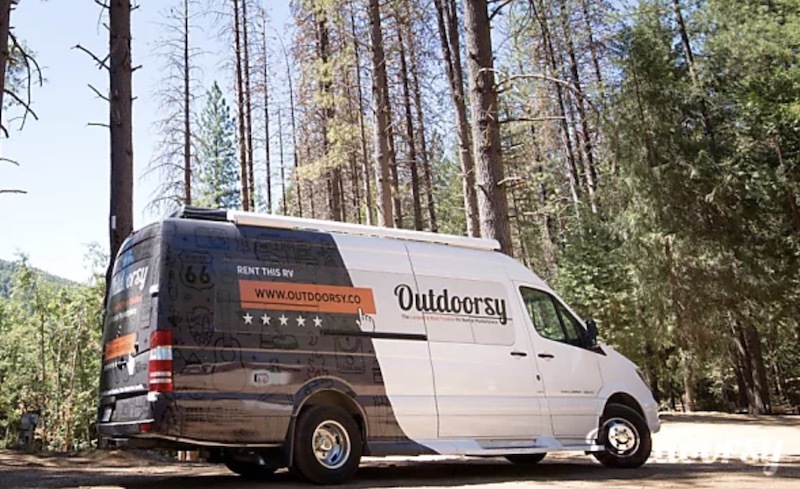 Highly recommend this van, this company, and Clif. 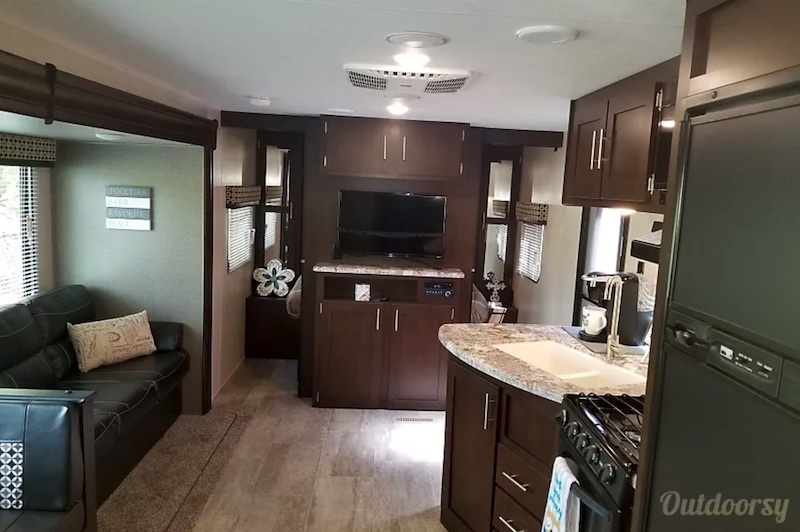 With all the room in this 2015 Dutchmen Aspen Trail, you may have to make some more friends just to take them with you on your trip! With two slides, this camper offers tons of room. There is a semi-private master bedroom with queen sized bed, a bunk area, dinette, sofa, indoor and outdoor kitchens, and a bathroom with a door leading outside. For having some fun outside, there is a bluetooth stereo with outside speakers so you can play some of your favorite songs while sitting around a bonfire. You'd be hard-pressed to find a better rental in San Antonio! We picked up the camper in San Antonio and pulled it to Corpus Christi, where we camped for a week. The camper was great, and Mario was very helpful. I would definitely rent it again in the future. 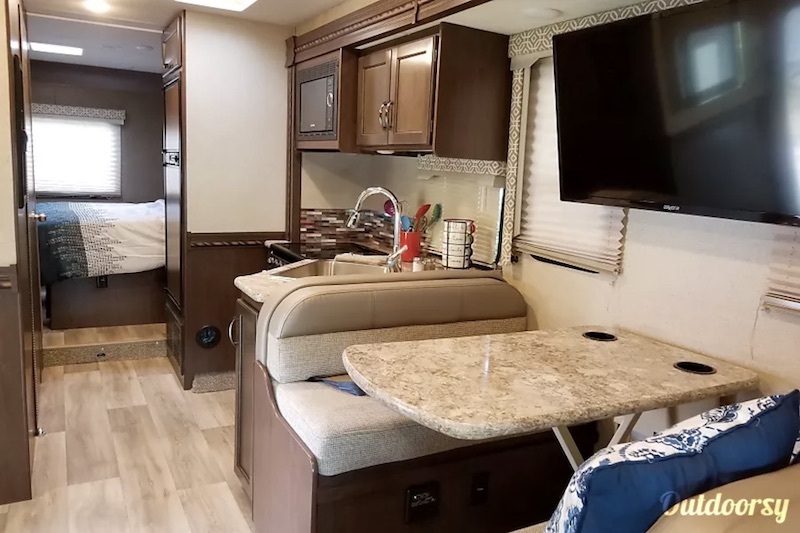 Last, but certainly not least, we have this 2018 Thor Motor Coach Freedom Elite - lovingly named the "Anywheremobile." This is one of the coolest motor homes out there! There is more than plenty of room in this RV with four sleeping areas to accommodate large groups up to eight people. In addition to the indoor kitchen, there is also an outdoor prep kitchen and a quick connection to the propane tank makes it a great option for tailgating under the adjustable awning. The owners even take the extra step of stocking the RV with linens, towels, cookware, and table settings for you! David’s RV was in immaculate condition! He was prompt with his correspondence leading up to pick up and drop off. 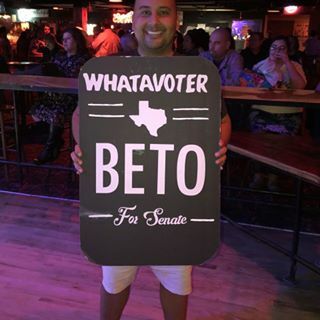 The next time I’m in the San Antonio area, I’ll be sure to get in contact with him again. That brings us to the end of our list of the best RV and camper van rentals in San Antonio, Texas! 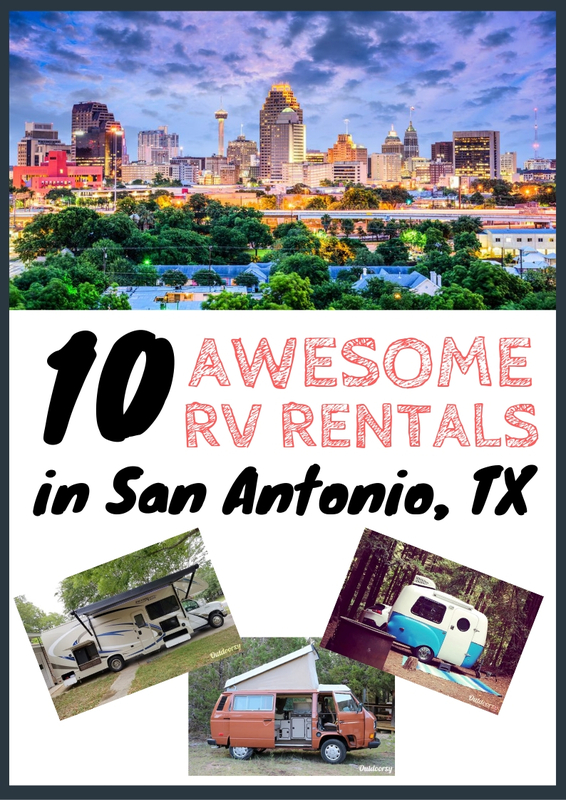 Remember, if you didn't like any of these we listed (or they weren't available for you), you can always check out all the San Antonio RV rentals available on Outdoorsy. You can find everything from a tent campers to luxury Class A's. Are none of these the tourist attraction of your dreams? Check out the top things to do in San Antonio on Trip Advisor. And that's all we have for you!  Want to share your San Antonio camper van or RV rental or some cool things to do in Texas? Or have questions? Leave a comment below!